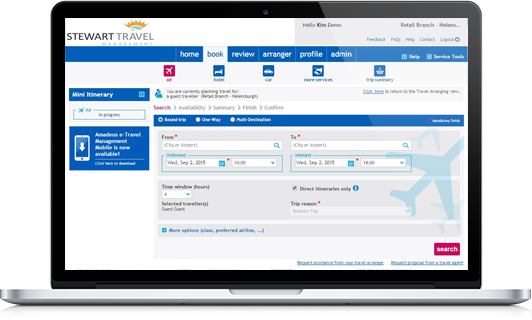 Stewart Travel Management gives your company access to a range of online booking systems including KDS, Trainline and Stewart Analytix. Amadeus AETM is one of the leading online corporate travel booking tools used globally and is designed to empower travel managers and travellers of medium to large sized corporate clients. Amadeus AETM offers a sophisticated technology platform with proven customer success. Currently, there are over 3,000 corporate clients who rely on it to streamline processes, improve supplier and contract management and achieve on-going and sustainable reductions in travel spend. 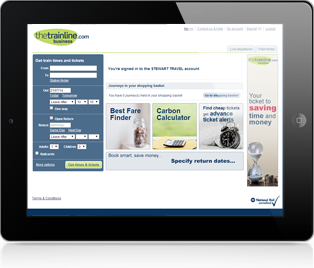 The Trainline self-book tool has a very easy to use interface, very similar look and feel to booking direct with the consumer Trainline site. Stewart Travel Management have invested in market leading technology and can provide our clients with access to a web-based on-line reporting provider. Stewart Analytix, with simple point-and-click navigation, enables you to make insightful decisions and draw meaningful conclusions about your travel needs through a comprehensive view of your bookings and interactive reporting. 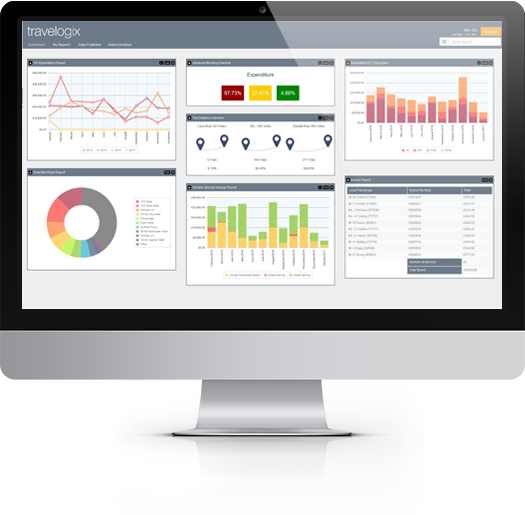 The Stewart Analytix dashboard system can provide you access to post-trip travel data on demand. Stewart Travel have invested in a Global air ticketing platform that offers the lowest airfares on over 900 airlines across more than 51 countries. The system has the most trusted and reliable wholesaler network across the globe, making it the single largest consolidator of fares worldwide. It permits us to ticket from within the country of origin, which opens up fares and flights that are only available within that market. On average we are saving customers 6.69% per month against even the lowest wholesale tickets available in the UK. Stewart Travel Management is a trading name of Hays Travel Ltd with ABTA P6382.